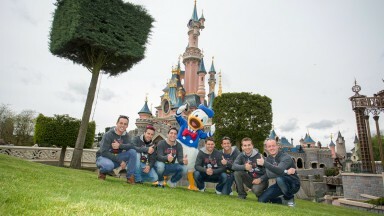 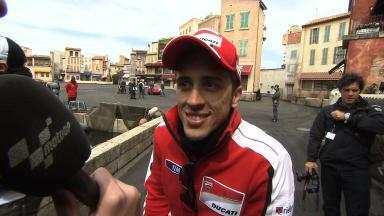 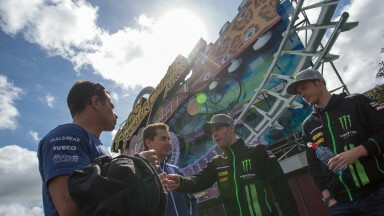 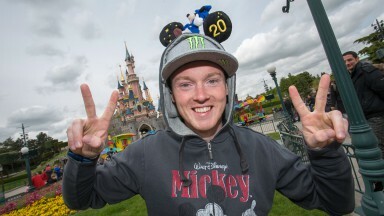 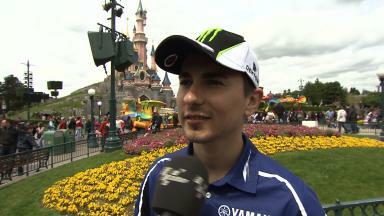 Ahead of the Monster Energy Grand Prix de France, MotoGP™ stars were greeted by rollercoasters and stunts at Disneyland Paris. 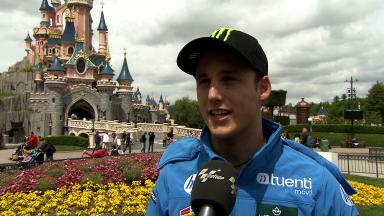 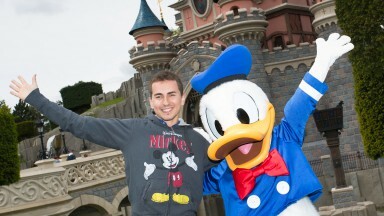 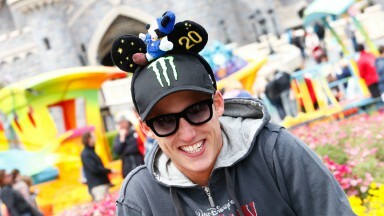 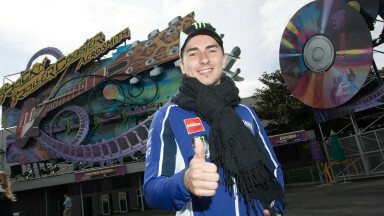 Yamaha Factory Racing’s reigning world champion Jorge Lorenzo spent the Wednesday before the Le Mans Grand Prix at Disneyland Paris, with Monster Yamaha Tech 3 duo Cal Crutchlow and Bradley Smith, Ducati Team’s Andrea Dovizioso, Power Electronics Aspar pair Randy de Puniet and Aleix Espargaro and Tuenti HP 40’s Pol Espargaro of Moto2™ to enjoy a different kind of spectacle before the on-track work begins. 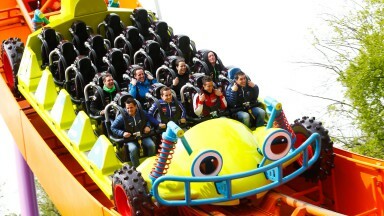 The magical experience got off to an adrenaline-packed start on the Rock ‘n’ Roller Coaster, before all riders headed to the ‘Motor, Action…! 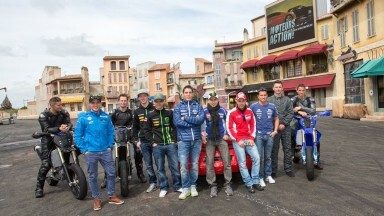 Stunt Show Spectacular’ to greet the stuntmen that amaze the crowds in the Walt Disney Studios Park day-in, day-out. 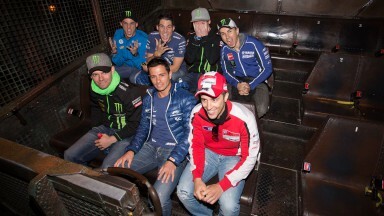 There they were treated to a different kind of petrol-powered fun, with Bradley Smith even being roped into steering a stunt car by remote control…albeit with a twist! 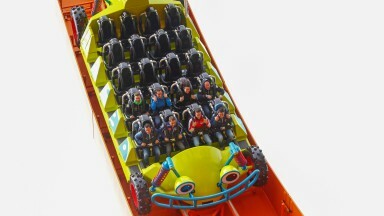 Following some more rollercoaster fun, such as the RC Racer in Toy Story Playland or the free-falling lift in The Twilight Zone Tower of Terror, the riders - who are usually the celebrities - were greeted themselves by one of the most famous characters of recent history to commemorate 20 years of Disneyland Paris. 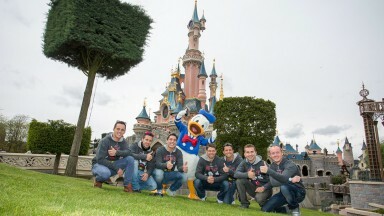 Donald Duck took some time out of his busy schedule to wish the riders all the best for the weekend and the championship, capping off an unforgettable day at the park. 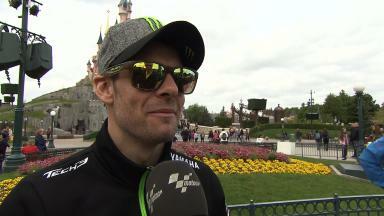 Poncharal: "In terms of machinery, Crutchlow is in a good place"